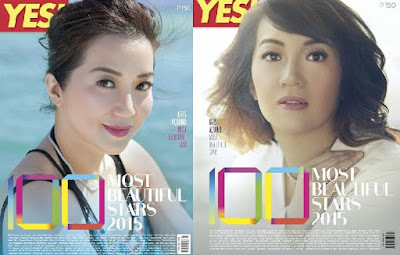 Kris Aquino is Yes! Magazine's cover girl for its "100 Most Beautiful Stars 2015" edition. Cruz, Anne Curtis, Kathryn Bernardo, Julia Montes and Sarah Geronimo in the elite club of celebrities named as "Most Beautiful Star" by Yes! Magazine. Kris has 2 covers for the issue, and in one of them, she's soaked in the water. And I can't help but notice her "pabebe" pose during her cover shoot. Look! I actually loved it. It's kinda different from what she usually does in her other magazine features. Go Krissy! In this annual list of Yes! 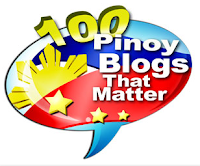 Magazine, a bunch of loveteams are included: Kim Chiu and Xian Lim, Kathryn Bernardo and Daniel Padilla, Liza Soberano and Enrique Gil, James Reid and Nadine Lustre, Nash Aguas and Alexa Ilacad, Bianca Umali and Miguel Tanfelix, and 2 others. I can see Alden Richards in the list, but not with his newest loveteam partner Maine Mendoza aka Yaya Dub. I understand, 'coz AlDub is just 2 weeks old, and if only it was formed at least a month ago, the loveteam could have possibly made it to the list. Janella Salvador made it as well, but not her loveteam partner Marlo Mortel. I think he should be included, since they listed down some "less popular" loveteams.